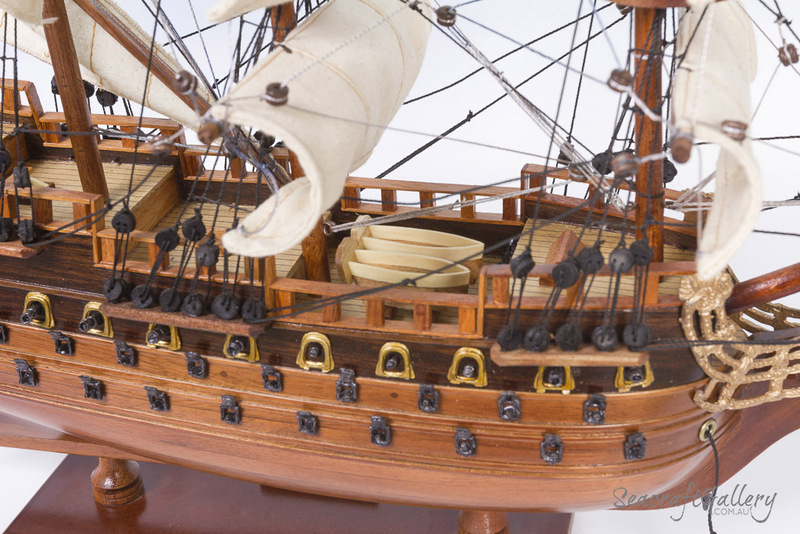 Inspired by the most powerful warship in revitalized French Navy fleet of King Louis XIV, the museum-quality Le Soleil Royal ship model was built with the fine craftsmanship and attention to detail. 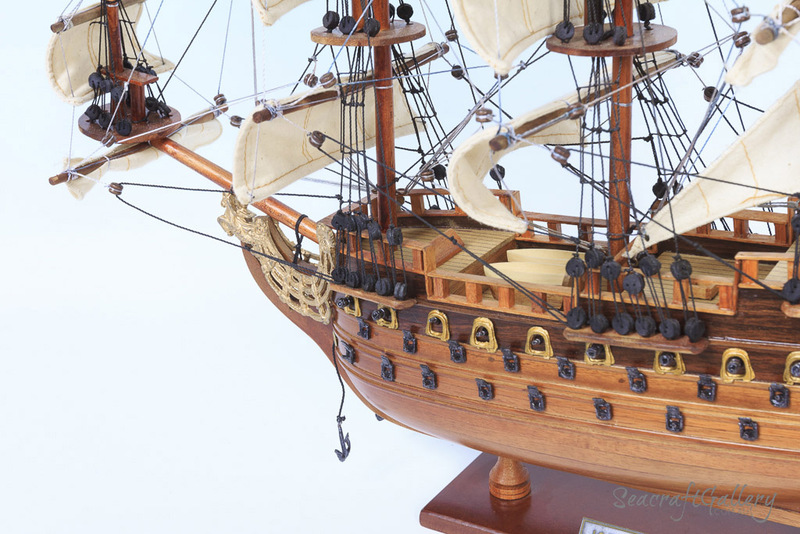 This fighting tall ship occupied a distinguished place in French Navy history. 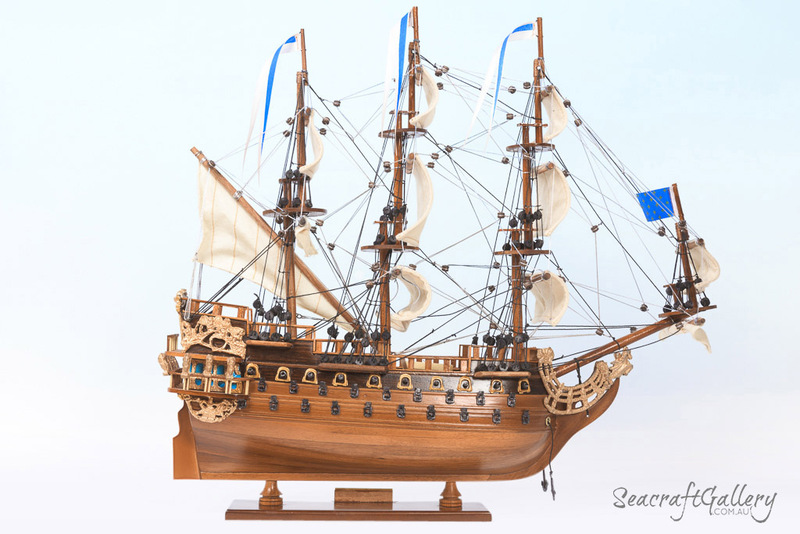 Now her unique wooden model ship may similarly occupy a proud position in your office, home or meeting room from which to display her exquisite beauty. 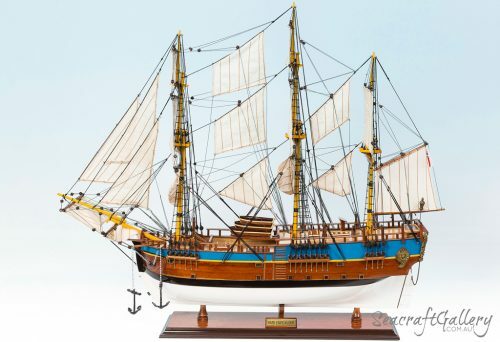 This model comes with a solid wood base with name plate and a laminated sheet of Le Soleil Royal ship’s history. 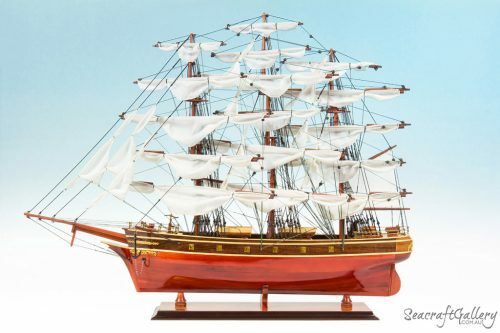 It would be more impressive to display your Le Soleil Royal ship models in a hardwood & perspex display cabinet specially designed for tall ship replicas. 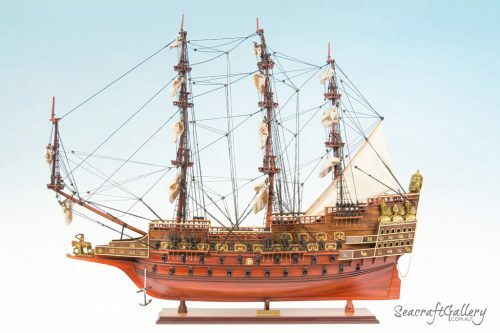 The French Le Soleil Royal was named in honour of the Sun King, Louis XIV. The Soleil Royal was one of the most powerful ships of her time. 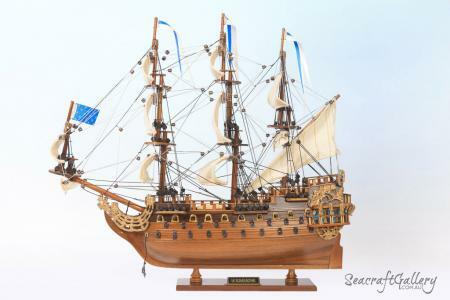 She was launched 1669 in Brest and carried 104 cannons. 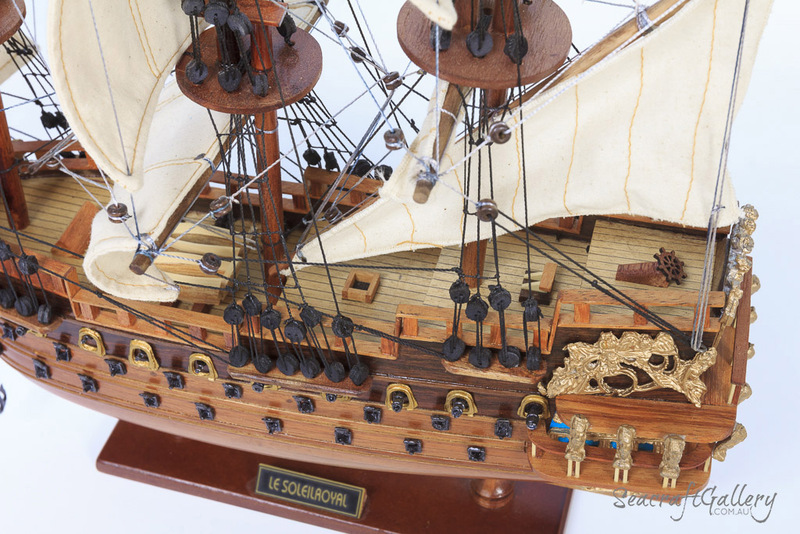 As flagship of the revitalized French Navy, brought into being by Minister of Marine Jean Baptiste Colbert, she was sumptuously decorated with wooden carvings, depicting a variety of motifs emblematic of the French monarch. The taffrail was embellished with a rendering of the sun god drawn across the sky by a team of horses, while the ornate figurehead showed a seahorse flanked by winged maidens. In July 1690, at the battle of Beachy Head, admiral Tourville led the French fleet of 70 ships to a victory against the united English and Dutch fleet of 57 ships. Two years later the situation was less favorable. 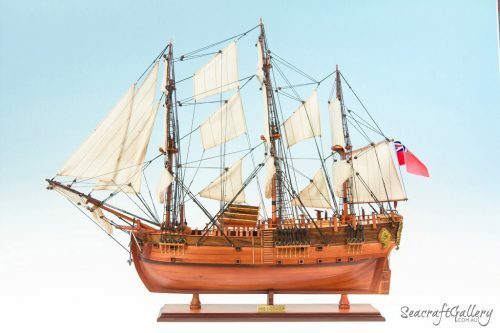 On 20 May 1692, at the battles of Barfleur and La Hogue, a French fleet with only 44 ships met the English and Dutch with twice as many ships off Pointe de Barfleur. Some the French ships could escape but the Soleil Royal was so strongly damaged that she ran aground when trying to escape to Cherbourg. 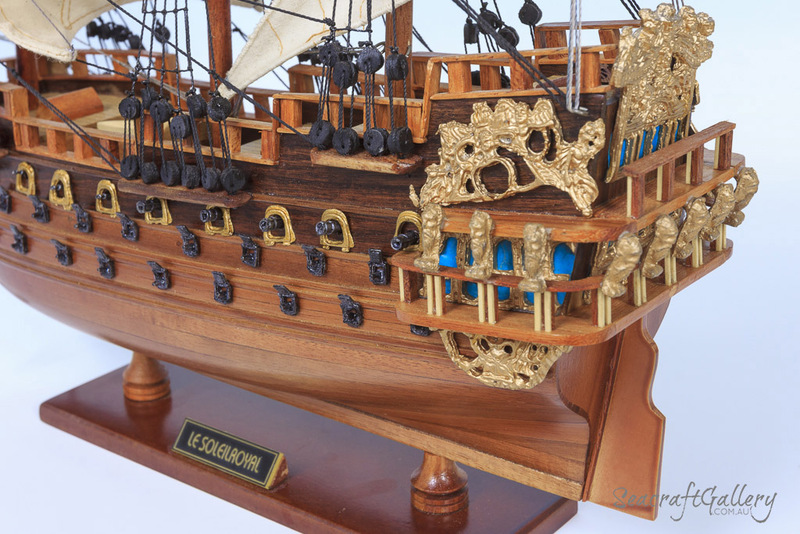 Very detailed and great finish, very happy with this terrific model. Looks perfect. 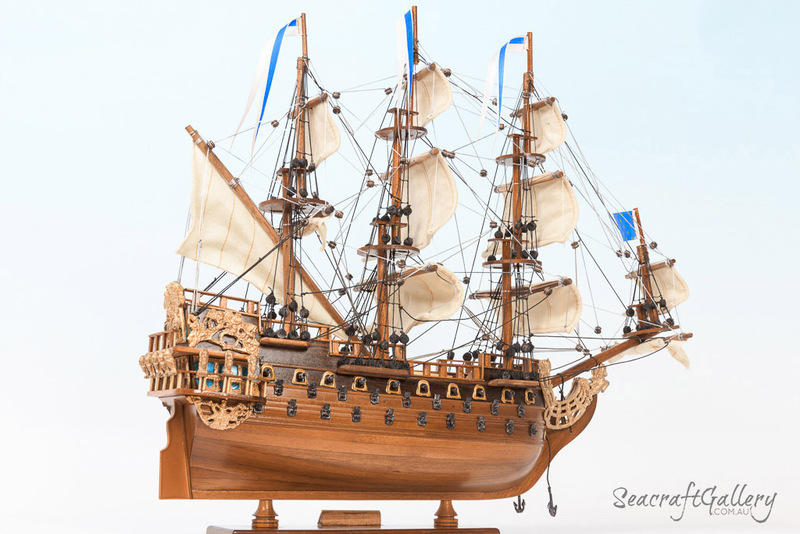 My partner is in love with this ship!